Germany has held the lead in the ranking for five consequtive years. Ukraine has topped the rating of passports among the CIS countries and ranked 44th in the world, significantly improving its position after a visa-free travel accord with the European Union in 2017. According to the annual Passport Index by Henley&Partners in the past five years, German passport held the lead in this ranking. In 2018, a holder of a German passport can travel without a visa to 177 countries, which is one more country than last year. The second place went to Singapore (176 countries), the third was shared by eight countries at once: Great Britain, Denmark, Italy, Norway, Finland, France, Sweden, and Japan. Citizens of these countries can travel to 175 countries without a visa. Most of them have improved the indicators of visa-free access over the past a year. Russia took 48th place in the index, sharing it with Moldova and Montenegro. Russians can visit 110 countries without a visa. Almost all the CIS countries improved the figures over the previous year. Among countries running programmes of granting citizenship in exchange for investment, a passport of Austria provides the widest choice of states with easy entry (174 countries). To receive an Austrian passport, one should invest 8m to 10m euros. Malta and Cyprus, whose citizenship can be obtained for an investment of 1m to 2m euros, offer visa-free access to 169 and 159 countries respectively. Among the Caribbean countries with such investment programmes, the most mobile passport is that of Saint Kitts and Nevis which gives visa-free access to 139 countries. Afghanistan, whose citizens have visa-free access to 24 countries, is the last in the rating. The Henley & Partners Passport Index, formerly known as the Visa Restriction Index (renamed in 2018), has been published since 2006 in cooperation with the International Air Transport Association, which supports the world's largest travel database. Since 11 June 2017, Ukrainians can travel without visas to most of the EU countries. In December, the visa-free regime with the UAE also entered into force. 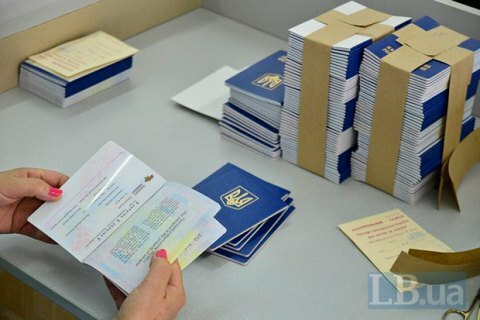 Ukraine is in talks on the liberalization of the visa regime with more than 20 countries.